We all know that branding is important for your business. Being able to instantly recognise a brand by strong visual content or a simple catchphrase can be very powerful, but staying consistent to your brand goes way beyond just your logo. It takes a lot of consideration to inject personality into a brand. Once you have created your brand, consistency is key. When you repurpose your content, you need to ensure that you stay consistent with your brand whilst your content is published across multiple platforms and in different formats. 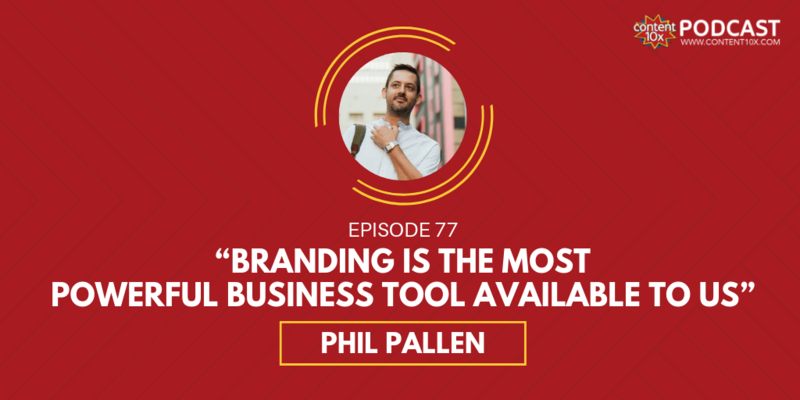 In this week’s podcast episode, I have the absolute pleasure of talking through this all important topic with my special guest Phil Pallen. I first met Phil at Janet Murray’s Content Live event back in November 2018, where both Phil and I were speakers. Phil is a fantastic keynote speaker and brand strategist. He has built a reputation by helping businesses to position, build and promote their brand. Hit play below to listen to this episode. Growing your audience and winning a potential client isn’t easy in today’s climate. However, if your brand is consistent and reliable across all communication platforms, it establishes trust with your audience, and they will return for more of your content. It also keep the people who you’ve already won over happy and engaged. Everyone wins! Branding isn’t optional and it’s not a luxury. If anyone is going to look you up on Google or social media, you have a brand whether you like it or not. It’s your responsibility to take control of your brand – you are responsible for the first impression that you create when people meet you. 3. Taking it to market, the final stage. What is the most effective way to get the right eye balls on you? At Content 10x branding is really important to us. For our brand, we ensure we are consistent in all that we create and we always refer to our core values and our brand guidelines. Similarly, when we work with our clients, consistent branding is essential. When we onboard clients onto our content repurposing service I explain the importance of branding and my team spend a lot of time absorbing what it is that makes their brand unique. Understanding not just their logo, colours and fonts, but their tone of voice and their personality. Sometimes clients come to us with no brand direction at all. We help to guide and work with them to enhance and build something from scratch. Or on the other end of the spectrum, I have people knowing exactly what they want for their brand with comprehensive brand guidelines. To find out more about our repurposing service, visit our website. 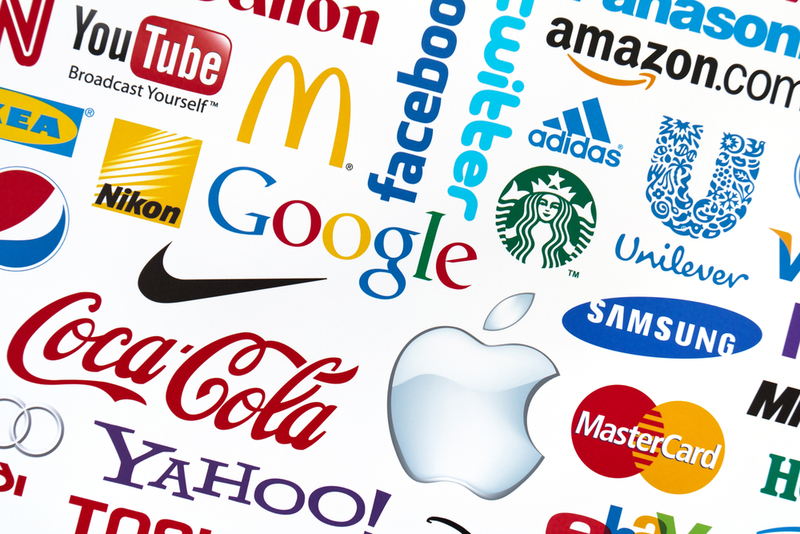 As Phil rightly highlights, branding is one of the most powerful business tools available to us. You can use branding to manifest not just what you want now, but who you want to become further down the road. Branding is done most effectively when you recreate the in-person experience online. Phil compares dating websites to branding. Which is true, as you’re basically judging a person pretty quickly based on the information and visuals they provide. If you decide that you like someone from their online profile you expect them to live up to that profile when you meet them. You don’t expect a very different person to appear on that awkward first date! Branding is similar because your online and offline branding experience need to be aligned. You can’t give off a certain type of personality with your online brand than is very different to how you operate in person. Social media is also very similar to online dating...and more like Tinder too! For example, with site like E-harmony, you have the lots and lots of deep questions that pair people together...they ask about religion, hobbies, political views, if you want children…etc. Then on the other hand, there’s Tinder, where people make instant snappy decisions, based on appearance only! Social media is far more like Tinder in this respect. Audiences make those snap decisions in a matter of seconds, based on a visual or a few sentences of your content. Attention spans are at an all time low and you need to try and stand out. Branding is key. Therefore, if you don’t impress and it’s not immediately obvious what purpose you’re going to serve, you’re going to lose that all important attention you want and need. In order to avoid losing your audience’s attention, you need to make your brand instantly recognisable and engaging. If people like what they see, they will delve further and investigate more. When you are creating content you must really focus on your core content. But how do you decide what your core content is? Ask yourself, what are you really good at? What can you be consistent with? What do you know you have the skills to create? Answer those questions, and you can then make a plan to consistently create good quality core content that resonates with people. Make sure that your content is completely on brand for you and in alignment with everything that you put out, so people can start to recognise you and your brand. 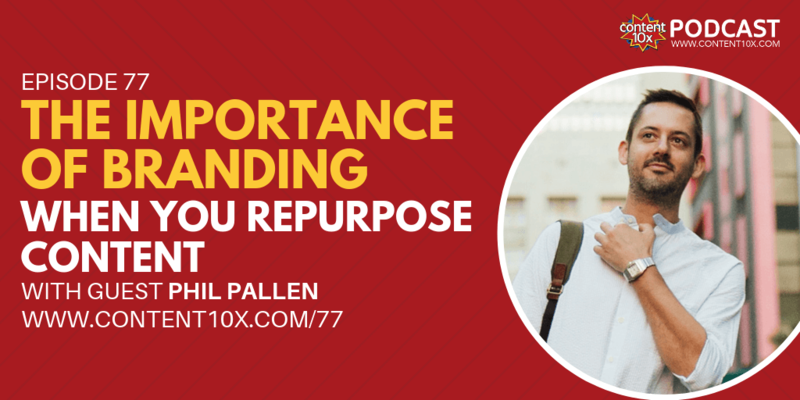 When people repurpose content, it is vital to remain consistent with your brand. Phil’s advice is to give each platform its own purpose. Doing so gives clarity to your audience, so they know what they can expect from you on each platform – they know what you create for Instagram, for Facebook, for LinkedIn etc. This also provides clarity to you, in order to understand what you should update it with. Create rules for yourself on these platforms, so you know what you can or can’t do. As Phil rightly says, there are two elements at play here when considering all of this. Content - what you say. Personality - how you say it. Phil opened up and shared that his biggest weakness as an entrepreneur is trying to be too perfect with his content and what he says – he calls it ‘perfection paralysis’. You can spend too much time trying to write the perfect post, so much so that you lose the moment, and end up composing something that isn’t true to yourself, anyway. The best way to be consistent is to be natural and honest. Most of your best ideas and concepts unearth themselves in conversations with your friends or colleagues. Phil’s best piece of advice is to find a way to document these thoughts and ideas, so that they can be easily accessed and effectively utilised across your communications. Once you have a way of documenting all of your ideas, develop systems that you will follow to communicate those ideas in different places and via different formats. The ideas should flow in a creative and natural way, and then the content and repurposing should flow as part of a system. You can connect with Phil and find out more about what he does on his website www.philpallen.com where there are links to all his social media profiles.